Panama has become the Mecca of online casinos. What has made Panama earn this recognition? It enjoys of a government with tolerant attitude, an abundance of well educated and bilingual staff, it has the best infrastructure available in the Caribbean basin - a reliable telecommunication system, comfortable living conditions, a diversity of goods and services and a lack of online gaming and Internet regulations. Casinos developed in Panama as a draw for the tourist industry during the 1990s. 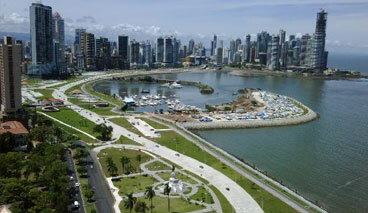 By 1999, there were approximately 30 casinos in Panama. Panama originally instituted casino regulations in 1886 and 1922. To establish a casino a Panaman corporation must be incorporated to manage their casinos. Casinos must be accredited and approved by the Tourist Board of Panama. They must be located in a hotel rated three stars or above, and at least 100 meters (one block) away from places of worship, hospitals, clinics, and schools. No one under 18 years old is allowed in a casino. Casinos are required to pay municipality operational fees, facility health permits, and any other tax applicable just like other businesses based in Panama. In addition, they pay an extra 10% on the monthly net revenues and for the number of game tables that they host. They usually pay 50,000 colones (roughly $100 in 2007) per table. If these requirements are not met, the owner of the casino face imprisonment and/or cancellation of the casino's license. In Panama it is illegal to earn or lose money by placing a bet on the outcome of a game or event or by playing a game which is based on luck, and not on the abilities and skills to play the game. Therefore, the following games are not allowed in Panaman casinos: baccarat, dice, twenty-one, poker, black jack, roulette, and lotteries. The following games or activities are legal within the Panaman laws: billiards, card games, canasta, draughts (U.S. checkers), dominoes, casino, rummy, darts, 13, Caribbean straight poker, or any game where the person's abilities and skills will determine the outcome of the game. Casinos host legal games according to the law as well as games that are not clearly defined by law. The most common games are: rummy, and Caribbean straight poker, pai gow - Chinese style poker. Casinos also host games that are prohibited by law such as roulette and gambling machines. However, an appeal was filed against the decrees. Which essentially allows casinos to host these machines until the appeal is considered. The casino industry has implemented a payment system to get around the laws that do not allow the collection or payment of the loses/earnings, so that casinos can hold the gambler legally liable for what he/she owes them or to be able to pay the gambler at their facilities. Casinos encourage gamblers to purchase tokens that are used at their casino facilities, or they give you a credit line by signing letters of credits, mortgages, promissory notes (I. O. U. notes), or written agreements so that installments or collections can be performed and that they are still protected by regular business laws, and not gambling.